AxSys Technology is a company founded in Scotland in 2000 by husband and wife doctors team. It was created as an alternative to the current situation in healthcare, where patient comfort and an individual approach to its problems pale into insignificance. The purpose of AxSys Technology is making health services as comfortable and effective as possible. "I hired Azoft to develop Mobile apps for my company and my experience of working with them has been outstanding. The people at Azoft are very professional, very friendly and very knowledgeable and they delivered a high quality experience for me. Their technical output is excellent and I will have no hesitation in hiring them again." — Dr. Pradeep Ramayya, AxSys Technology Ltd.
AxSys Technology aims to deliver exceptionally well-thought and convenient software systems for clinics, healthcare institutions, and medical practitioners tailored to specific medical specialties. 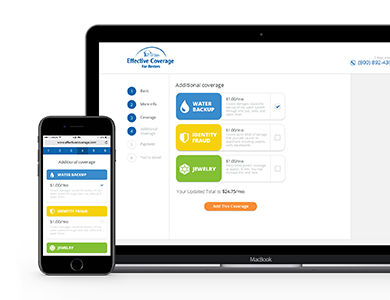 Their flagman solution Excelicare is a highly configurable web-based system that allows any clinics to organize its workflow, paperwork, connect with patients, track their records, prescribe and follow-up course of treatment. From patient perspective it is a very convenient approach since all the key information, such as appointments schedule, course of treatment, medication doses and schedule, as well as doctor consultations, can be done remotely without the need of physical visit to the clinics and it also creates more individual patient-centric service. To make this experience even more convenient, AxSys Technology decided to enhance their system with mobile applications for iOS and Android that would provide patients with all the same powerful features. Excelicate platform is provided by AxSys Technology as a highly configurable white-label system deployed by clinics, medical institutions and practitioners. Being part of the solution, the mobile application needed to support such deployment model, too. Any clinics that use Excelicare platform can brand the mobile application and publish it in the mobile stores under clinics name. After this, staff and patients can start using the app. Application automatically detects who logged in (clinics staff or patient), what Excelicare modules are available for that clinic, and adjusts application UI and feature-set accordingly. Excelicare aims to provide very precise and contextual experience for all most common types of medicine, and it allows each clinics to select what modules are needed. The same setup should have been supported by the mobile app. Moreover, since each user has their own context of how and for what matters they use the app, welcome dashboard screens is made configurable in order to convey only relevant widgets and data. I.e. a Blood Pressure module allows patients to record and log their pressure and pulse readings. One of the goals was to make the process of taking, entering and viewing readings easy and cool. That was achieved by implementing custom controls that allowed users to enter 2/3-digit readings in a few clicks, which the app assessed and provided instant feedback on whether the reading is good. User can view readings dynamics on a nice colourful and informative chart with negative readings being marked with a special icon to bring both patient’s and doctor’s attention. Graph shows history of changes over the last week, month, three months, six months and a year, as well as the average value for all time. Thanks to advanced data caching mechanisms, the app works fine offline. Other features and modules of Excelicare platform and mobile app include patient register, forms and questionnaires, appointments planning, laboratory results, medication, media content, messages, alerts, measurements records and analytics. The mobile app complies with all necessary healthcare industry security standards. Mobile applications had to comply with security standards for storing, processing and transferring medical data. It was not a problem on iOS thanks to native encryption capabilities, while Android application required special efforts to achieve the goal and make the app standard-compliant. The application had very beautiful and functional charts to display various customer data with support of gradients, color zones, custom pinpoints, ranges, scrolling and device orientation. This was not a big deal to implement it on iOS, while there were no appropriate chart libraries for Android, so our team did a completely custom implementation. Azoft UX design team needed to create well-thought UI in order to make mobile apps clear, informative and nice to use. I.e. the process of entering blood pressure and heart rate readings was deeply analyzed and modeled in order to make it fresh, unique, interesting, and fast. By the time Azoft development team started implementation of mobile applications, client’s backend was not ready fully. The project went on an intensive schedule and many things had to be figured out, agreed with backend team and implemented and tested on the fly. Nevertheless, project was finished and delivered on time. AxSys Technology strengthened their Excelicare platform with powerful highly-configurable and secure mobile applications for iOS and Android that support their core mission of making healthcare patient-centric, individual and convenient.